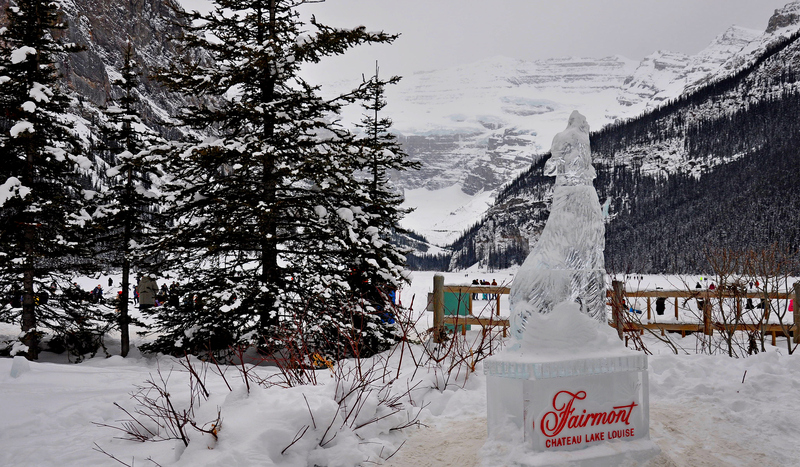 Last weekend we had the chance to get out to Lake Louise and check out the ice sculptures which were carved as part of the Ice Magic Festival. 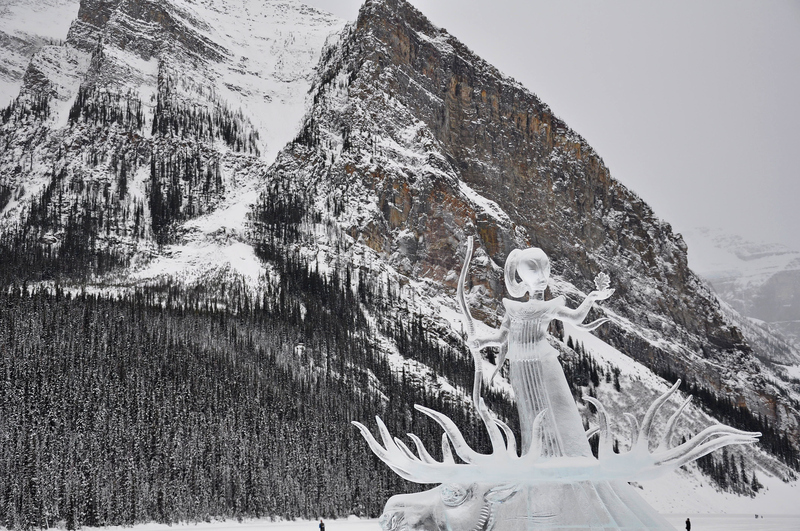 Ice Magic is an annual event which has taken place for the last 20+ years. 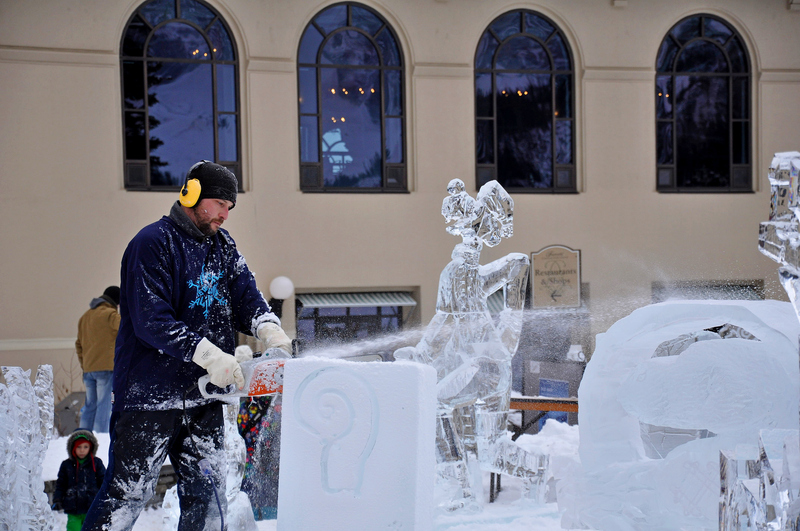 The highlight is the International Ice Carving Competition, which sees teams of two create sculptures over a period of 34 hours. This year saw contestants from Canada, USA, Russia, Phillipines, Latvia, Malaysia, and Sweden. 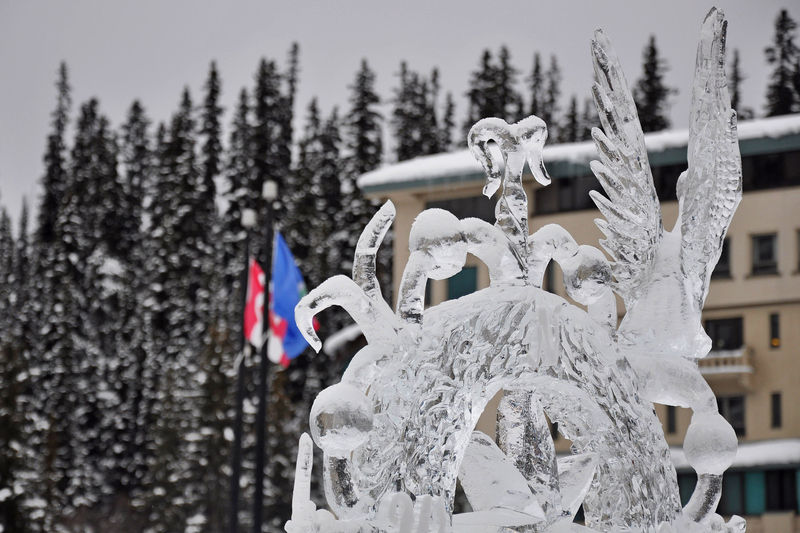 The theme for 2017 was “Canada — True North”. 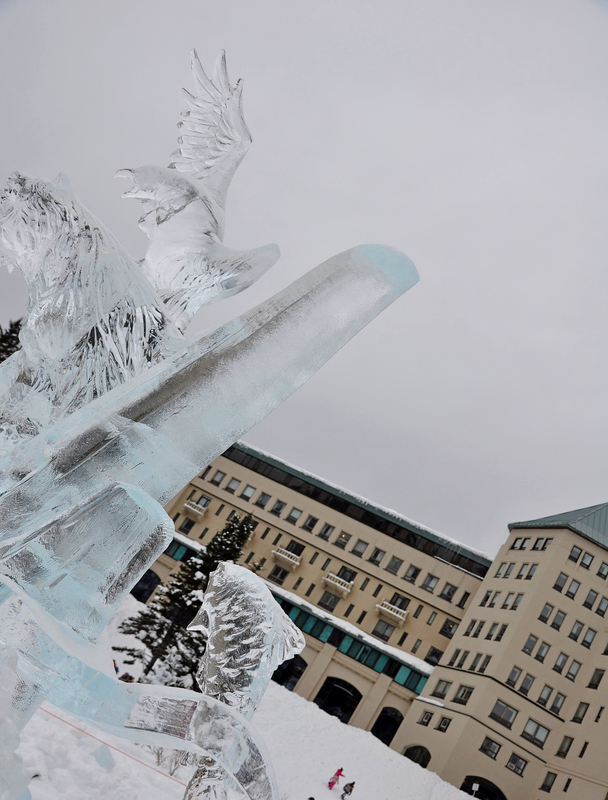 The festival official ran from January 19 – 29, with the actual carving competition taking place on the first weekend and then the focus shifting to other winter activities for the remainder of the event. While we were there we saw many people skating, playing hockey, snowshoeing, and — of course — checking out the sculptures, which will remain in place as long as the weather allows. Since drones are banned in National Parks in Canada, you get a break from the aerial footage and instead can enjoy some photos taken from ground level. 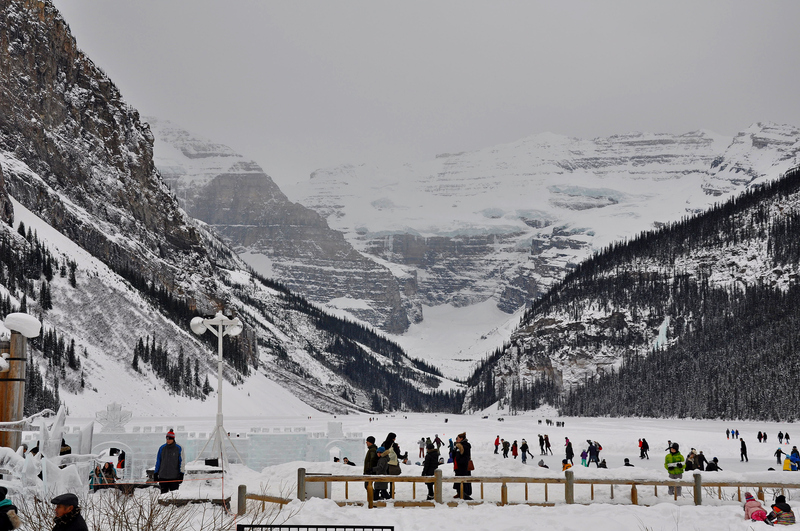 Be sure to get out there and check out many of the great events which take place in Alberta all year-round. Cheers! 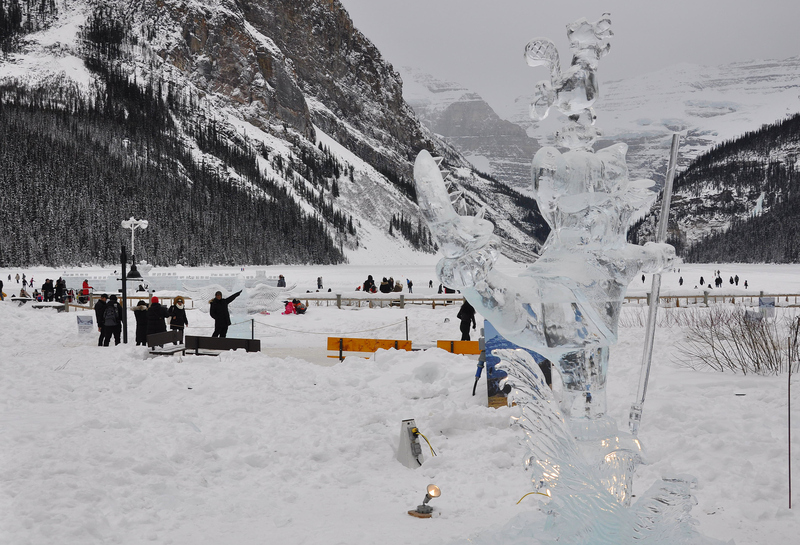 This entry was posted in Travel and tagged Alberta, Canada, ice, ice carving, Ice Magic Festival, ice sculptures, Lake Louise, snow, travel'. Bookmark the permalink.